Fantasy books make for wonderful means of escaping reality and each author brings the realms of myth, legend, and magic to life in their own unique ways. However, many fantasies have a tendency to venture deeply into politics. The politics that make up these amazing lands is wonderful and really makes the world seem more real, but there are times when readers don’t want to read about political drama and just want a good old-fashioned fantasy tale. How about an evil wizard that is threatening to take over the land so someone or multiple someones are summoned because they hold the only power that can stop the wizard? Short, sweet, to the point with no politics, just adventure, magic, and a fairy tale landscape. Author Jenna Greene gives readers this very story with her young adult fantasy novel published by Champagne Books Imagine. One moment, Katharine Bowers and Becky Thatcher are living normal lives on Earth; the next, they find themselves in the middle of a forest in an unknown land in a completely different realm. A magical deity who is fading from existence has summoned the two young girls to the land of Oren and quickly relays a destiny they are supposed to fulfill before suddenly vanishing. The girls find themselves alone with only this knowledge: Magic is real, Katharine is one of three Elementals who hold the power to correct the mistakes made by powerful magic wielders known as Naturals, and Becky is the one who must find the Unifier needed to bring all three Elementals together. Now the two girls must stay strong and stay together as they make their way through an unknown and dangerous world to save it from an unknown source using unknown powers with the help of unknown people who could be anywhere. With a beautiful cover and title that will turn anyone’s head, Imagine is a wonderful classic fantasy story that targets the young adult audience, but a read an older audience will find themselves enjoying, as well. Greene has included everything one would expect: magic, prophecies, mythological creatures (both known and created by the author), wizards, knights in shining armor, royalty, war raging across the land, and more. And what would these common elements be without the help of an author to mold them into her own design? Greene’s storytelling is captivatingly smooth and her narrative is incredibly detailed and descriptive, creating a reading experience that flows and allows readers to easily see what is happening within their minds. Greene is most certainly to be commended for her storytelling skills. She has a way of grasping the reader’s attention and pulling them into her story, for she takes readers on the adventure with Kat and Becky. With the magical deity explaining everything to them so fast, readers know just as much as the girls do. This is actually refreshing to read for in so many stories like these, the characters arrive where they were summoned, they are given their spiel with a healthy dose of prophecy and a good portion of “what the heck is going on?”, and then sent off to where they should begin their journey. Not to mention the characters this usually happens to are normally 18 years or older. Kat is 16 and Becky is only 10 and they receive a rather large dose of confusion, a small side of knowledge, and absolutely no clue where to go. How would one possibly begin a journey like this? The start of their adventure does wonders on developing the girls’ characters as the story progresses. Kat is an angsty teenager who is quick to anger, but has a fun wit and humor to her. Becky is a smart, but shy child who enjoys becoming lost in fantasy stories. Both are complete strangers when they first meet, yet knowing all they have is each other in an unknown world, they stick together and form a tight sisterly bond throughout the book. They find strength in one another and have to mature quickly given the dangerous land they are in. Greene does an excellent job of portraying the accurate characteristics for each of the girls’ age groups, which makes their characters more believable and the bond they form very touching. Perhaps the only thing readers may like to read more of is Kat and Becky’s backstories. Very little is mentioned about their lives on Earth and one would think in a strange land that they would have more memories of their lives back home. As aforementioned, Imagine is meant for a young adult audience so there are a couple elements that may not be as well received by older readers. The first being how Kat and Becky arrive in Oren. Some wind, a flash of light, and then they are just… there. Magic is a wonderful element to use to explain things, but there are times, even with magic, when there needs to be just a bit more development and explanation for the readers. This is a very minute detail that most certainly does not take away from the experience, but it is an idea that would have been fun to expand upon. The second is Kat’s teenage angst. Her wit and humor make for an amusing character, but she has a short fuse and is quick to anger, which is excellent for her character’s age, but it does have the possibility of rubbing on the nerves of some of the older readers at times. Aside from these two minor details, the rest of the story is a pleasure for any fantasy fan. 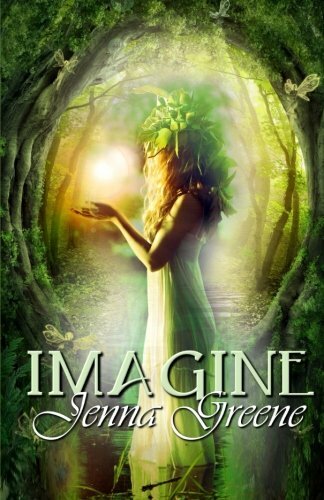 Greene offers a great return to classic fantasy in her novel Imagine. With so many common elements woven together to create this beautiful tale, readers must read it for themselves to take in the magic of Oren and the fight two unsuspecting girls must face to save it. No in depth politics await, no complex plots, just a fun escape to a new land away from reality. 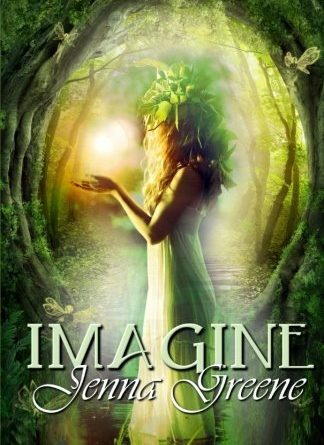 Imagine should be the next on any “to read” list of any age group (though perhaps not for readers nine years and younger for certain elements do become dark) for those who just want something entertaining to read. Not to mention Kat and Becky’s story does not end with Imagine, but continues on with Reality, leaving readers another new adventure to look forward to.